For most of the season, we heard how the Pistol was the sole culprit of a dwindling run game. While I do not believe that the Pistol is responsible, I do believe that the manner in which it was used, is. It is possible to be creative with the formation. There’s more to the Pistol than the Inside Zone and the Stretch. It’s also possible to have a more robust option game that also keeps the quarterback clean. Let me show you a few options available to the Oregon Ducks. First, I want to take a look at one of my very favorite run plays. I’m talking about the Wham! It is a ridiculously simple concept, but its is also ridiculously effective at catching a defense off guard. On top of that, it’s a perfect constraint play to be paired with the Inside Zone/Slice. The wham is a form of trap play that isolates a defensive lineman and seals him off from the path of the running back. Above, you’ll see that the guard and center ignore the DL in the A-gap, prompting him to rush towards the mesh just to be wham blocked by the tight end. Though not out of the Pistol, you can see just how effective the play was for the Philadelphia Eagles. Notice how the path that the center takes influences where the DL goes. Freeing up the DL to be wham blocked allows the center and guard to both to move on to the second level, putting two larger bodies on smaller LBs. Next, I want to focus on a play with a little more flash to it (above). At its core, it’s just a Power play, but the addition of the fake Jet Sweep creates more conflict for the defense. The Power is a play I was hoping to see a lot more of this past season, but it was rarely used. The Jet motion itself can affect the defense in such a way that they flow in one direction, then getting hit with the Power in the other direction. 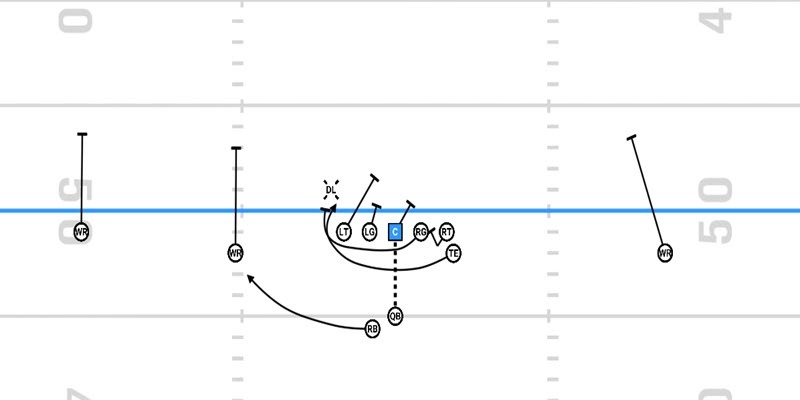 Outside of the Power, there are several other plays that could sprout from this one. It sets up well for both a play action pass, and actually handing off, or tossing, on the Jet Sweep. 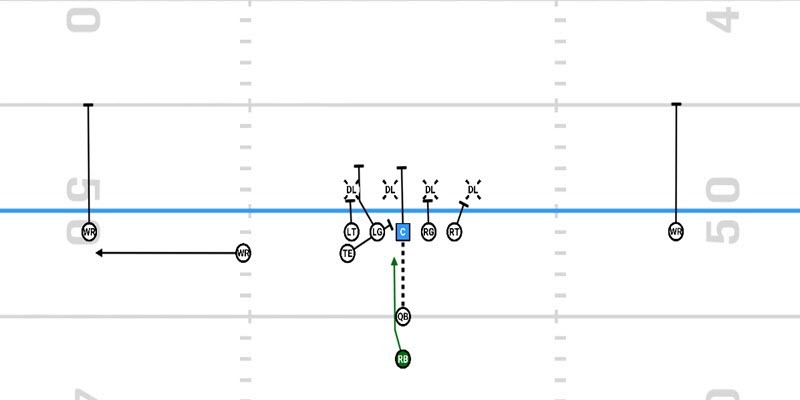 It would also give the ability to fake the Jet, fake the handoff to the RB and then roll out and throw to the slot. A lot can come off this one look. Here, the Clemson Tigers choose to motion the receiver to the same side of the power instead of having the two flow in conflicting directions. The motion itself still affects the defense by getting the backend to rotate and overcompensate in the receiver’s direction. Again, Clemson gets its opponent to overreact to the Jet motion and hits Louisville with the power for enough yardage to pick up the first down and a little more. 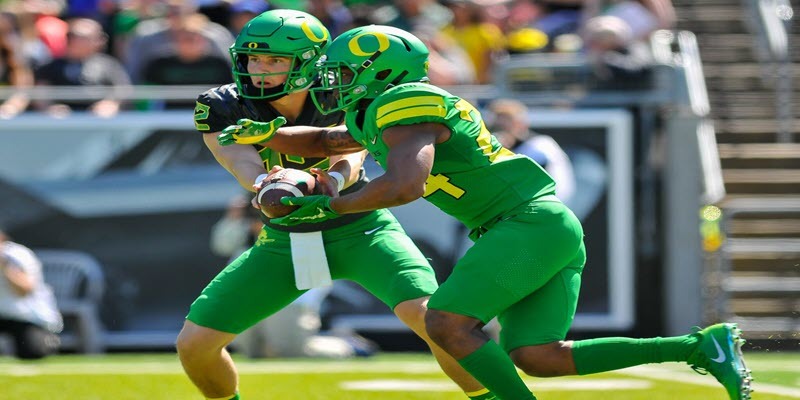 Finally, I want to showoff a play that I came up with while thinking of a way the Ducks could increase their option game, while keeping Justin Herbert upright. I call it the Toss Read Shovel Option. The play is very similar to a Triple Speed Option, but much more in the vein of the Toss Read that Oregon ran under Willie Taggart. Like in the Toss Read, the QB is going to read the frontside defensive end. If he pinches, the QB is going to toss the ball to the RB. If the DE widens, the QB pitches to the TE on the Shovel. So, instead of the QB running between the tackles, the TE does that work. 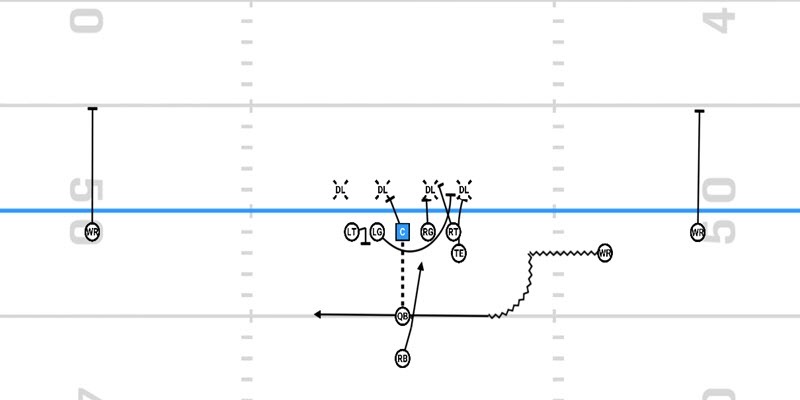 Above is the Toss Read play Taggart installed while at Oregon. It’s a nice play, but with a lack of depth at QB, it puts Herbert in a position that makes the fanbase a little uneasy. What I’ve done is taken that Toss Read play and combined it with Matt Canada‘s method of running the Inverted Veer/Power Read. During his time with the Pitt Panthers, Canada had the same issue with his QB. He could run, but it wasn’t his strength. As you can see above, pitching to the Shovel out of the Toss Read may be even easier than doing so after pulling the ball from the belly of a RB. If nailed down, the Toss Read Shovel Option would really infuse a more rounded option game into the Duck offense. Now that you’ve seen a few of my suggestions, and evidence you can be more creative with the Pistol than most of you have witnessed, I would like to hear what you guys think in the comments section below.